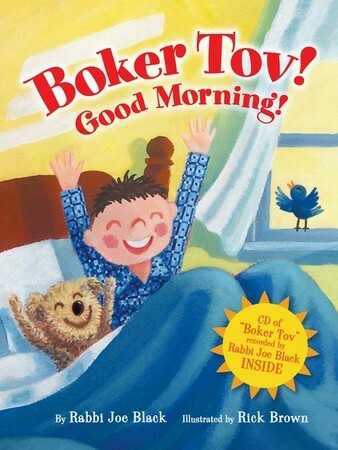 This colorful picture book shows toddlers the meaning of Boker Tov - which is "good morning" in Hebrew. Welcoming a bright new day, the lyrical text and delightful illustrations highlight the many things to be thankful for each day. This book will have the whole family singing! Written by internationally renowned rabbi and musician Joe Black. Sing along with Rabbi Joe in the video below!